It looks like robots aren’t just being used to replace human factory workers in China, now they’re even being recruited to help out in school classrooms. Many kindergartens across China have adopted an artificial intelligence robot to help interact with their pupils. The robot, called KeeKo, interacts with the young children by playing games with them, singing, dancing, reading stories, carrying out conversations and even doing mathematics. 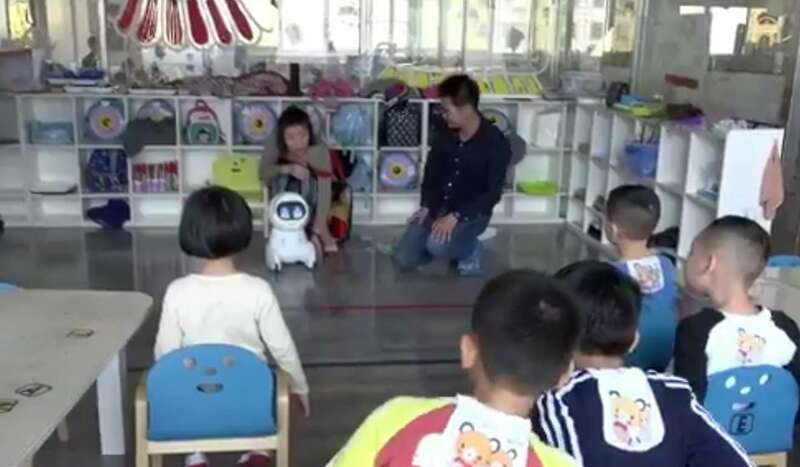 A video shared on Xinhua news agency’s Twitter account on Wednesday showed the robot entertaining pupils in a kindergarten in Xiamen, Fujian province. KeeKo, which is aimed at interacting with children aged below seven, has the intelligence level of a five-year-old child, according to Xiamen ZhiTong Technology, the company that created the robot. Since it was launched last year, the machine has been used in some 200 kindergartens across the country, including in Beijing, Zhejiang and Jiangxi, according to the company’s spokesman Chen Xiaodong. In the video, the robot is described as a “cute intelligent toy” that can help children better understand their lessons. Xiamen ZhiTong hopes to roll out tens of thousands more such robots in Chinese schools this year. It would launch a second version of Keeko in August, though the new robot had yet to be named, its spokesman said. But the robots were not aimed at replacing school teachers, Chen stressed. Around the world, it is not uncommon to see robots being used as educational tools in schools. US-based Tynker teaches coding through drones in some 60,000 schools, and other humanoid robots, such as Softbank Robotics’ Pepper, have been used to teach English to children in Japan.